The Second Annual Bromley Farm Festival is upon us!! Join us, and turn back the clock, unwind, and enjoy classic fall activities on the Farm. We are so excited to share this awesome event with you. Join us for an incredible CORN MAZE, a HUGE PUMPKIN PATCH, LOCAL FOOD provided by LoHi Steakbar, LOCAL CRAFT BEER provided by Big Choice Brewery, and tons more “farmily fun” including Cattle Roping Lessons, Farm Animals, a Kids Corn Box, Rope Making and Finger Weaving Public Participation Art, Seed Bottle Art, Tours of the National Historic Registry Farm House, Family Photo Ops (fall seasonal settings, Historic Carriage, straw bale stands, pumpkin patch, and more), Flour Making and Grain Grinding, and learn about all of the great programs we have going on out at the Farm. We look forward to seeing you soon, and thanks for your support!! In addition to all the great activities above, we will also have our Colorado Ninja Challenge going on as well. All activities, and the Ninja Challenge are included with the purchase of a ticket!! 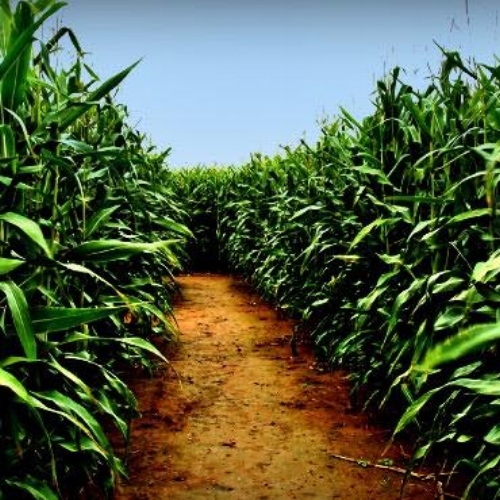 Get lost in a 3 acre corn maze that is in the shape of a bee and honeycomb. Complete the game of finding animal footprints throughout the maze. 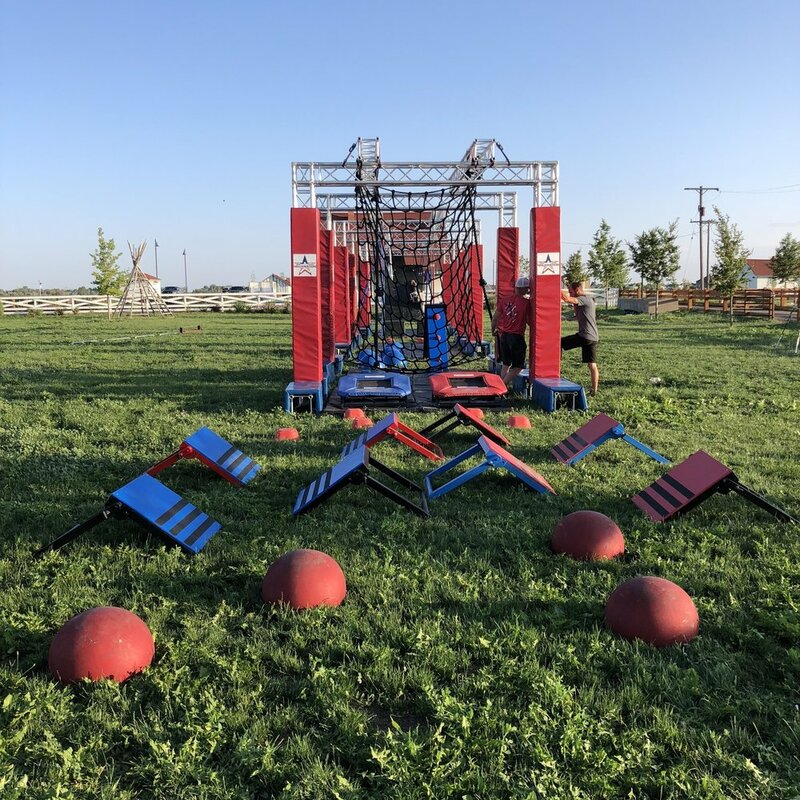 It's no secret that Colorado is home to some of the best American Ninja Warriors. Come try the Competition, Intermediate and Kids courses and meet Ninjas from all over the country. We have pumpkins of all sizes to pick! Also for sale are pie pumpkins, squash and other vegetables grown on the farm. 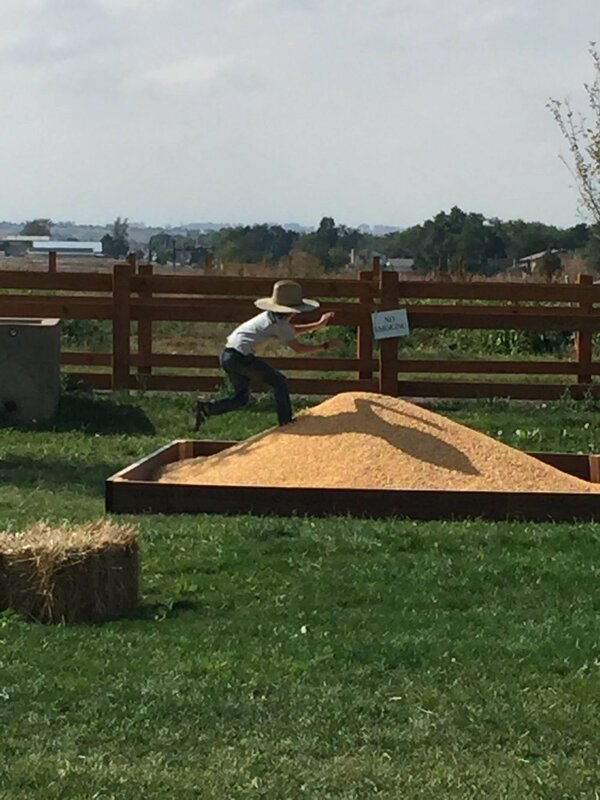 In addition to the corn maze, obstacle courses and pumpkins there are many more activities like the corn box, seed bottle art, roping, grain grinding and a fiber art craft.